Vice President Dr Mahamudu Bawumia has reteraited the New Patriotic Party (NPP)’s campaign promise to build large seating event theatres in all regions of the country. 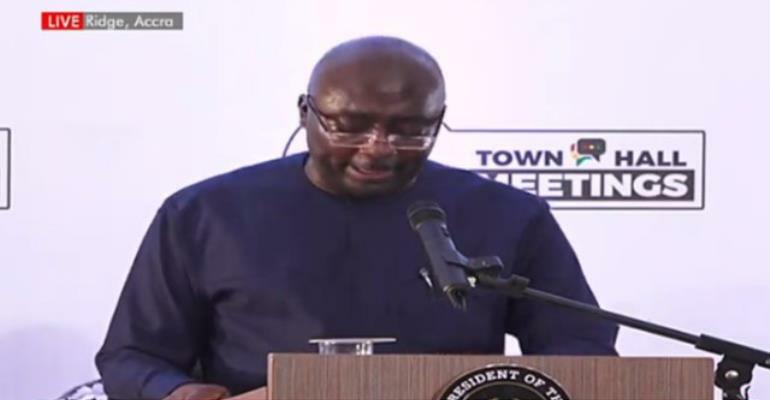 As Chairman of the Economic Management Committee (EMT), the Vice President speaking at a Town Hall Meeting at the College of Surgeons and Physicians in Accra revealed that government is on course to fulfil this promise. Dr Bawumia’s comments are coming after President Nana Akufo-Addo reiterated in his 2019 State of the Nation Address stated that plans are far advanced for the construction of a theatre for the Ashanti regional capital, Kumasi. The President also mentioned that a theatre for the Eastern region was almost completed. The New Patriotic Party (NPP) in its manifesto for the tourism and creative arts sector ahead of the 2016 elections, promised to build theatres in the remaining nine regions of the country.